LifesMiracle gives you the confidence to purchase products and to share with others with a thirty-day money back guarantee on the first order of any product (including the $39.95 Membership.) 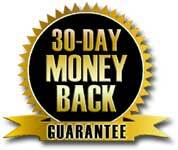 Simply call within thirty days and send back the unused portion. When it is received by us your credit card will be refunded minus S&H. Defective Merchandise has 30-day guarantee regardless of first order status or not.